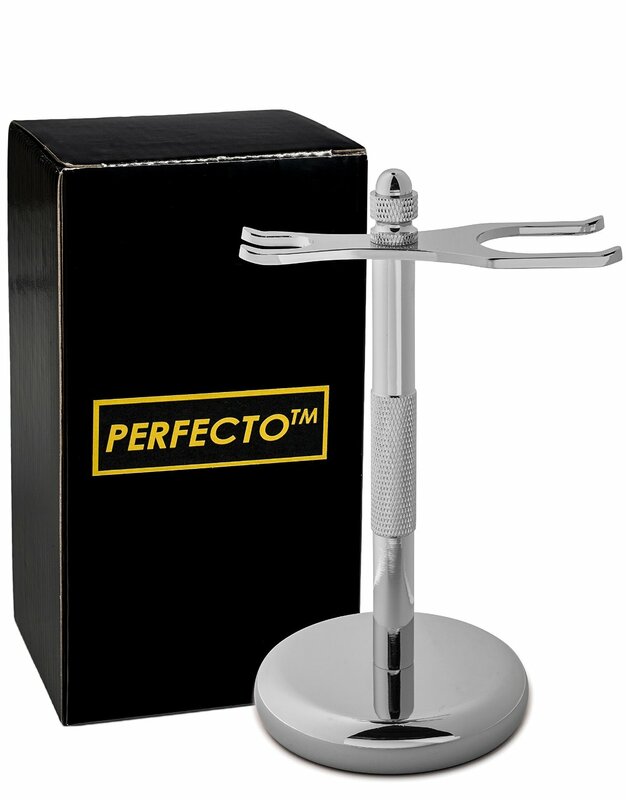 The PerfectoTM offers a elegant solution to all the common problems associated with Razor and Brush shaving. Namely, the inconvenience, mess, damage to equipment, and even occasional injuries it can cause. 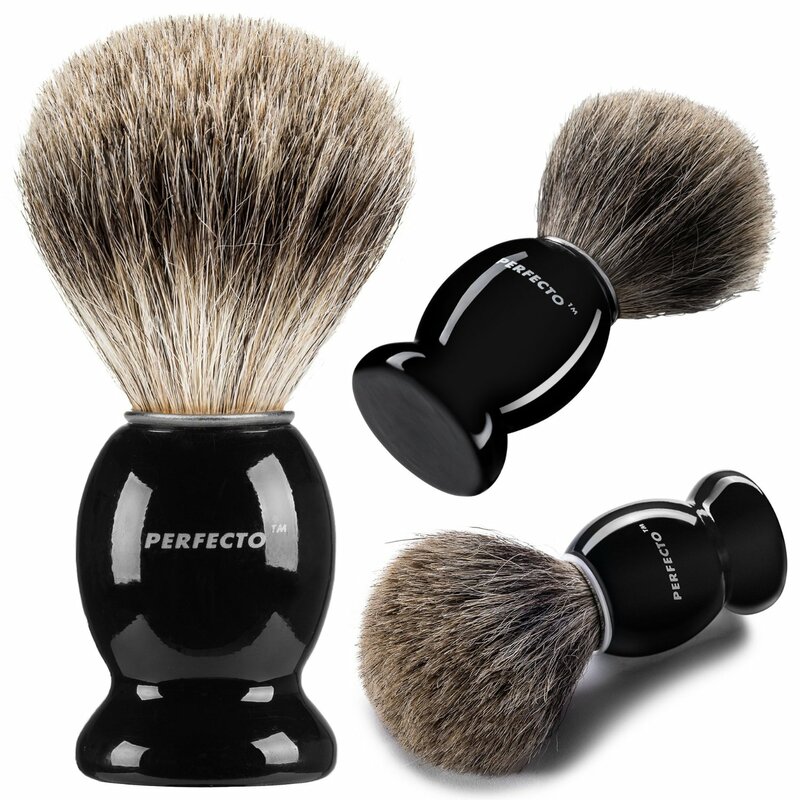 Stored upright on their two-prong hangers, your razor and brush pose less risk of being improperly grabbed which can cause injury. In this position they also receive air circulation to facilitate faster drying, which helps extend their life and prevent the growth of bacteria, mold, and rust. 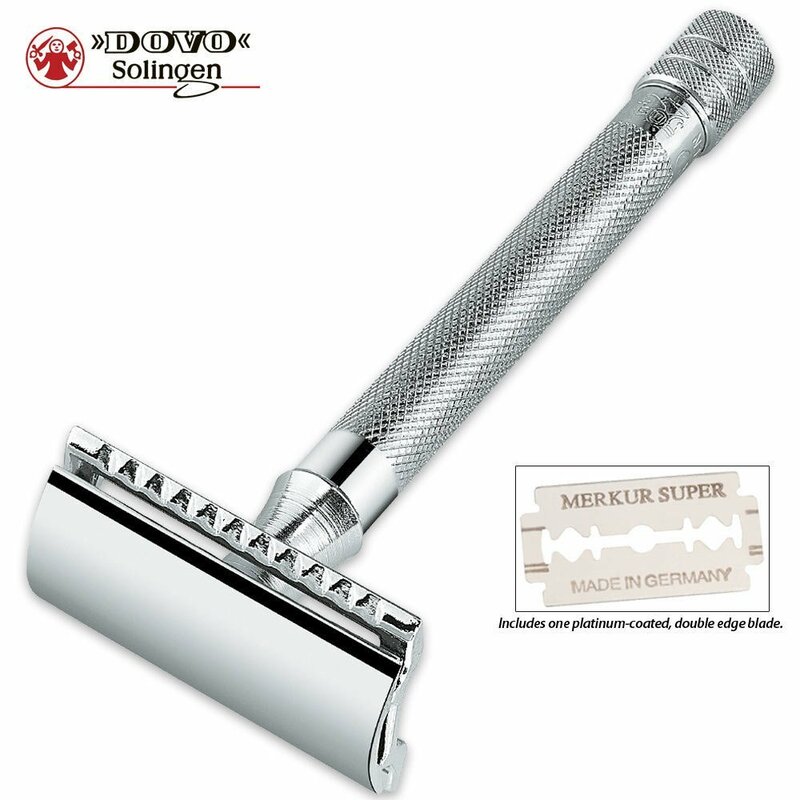 This stunning, chrome-plated design complements any bathroom decor with space-saving efficiency. The weighted base keeps it upright while the non-slip rubber like sole keeps it in place. The post features a textured midsection so it’s easy to get a secure grip on it.